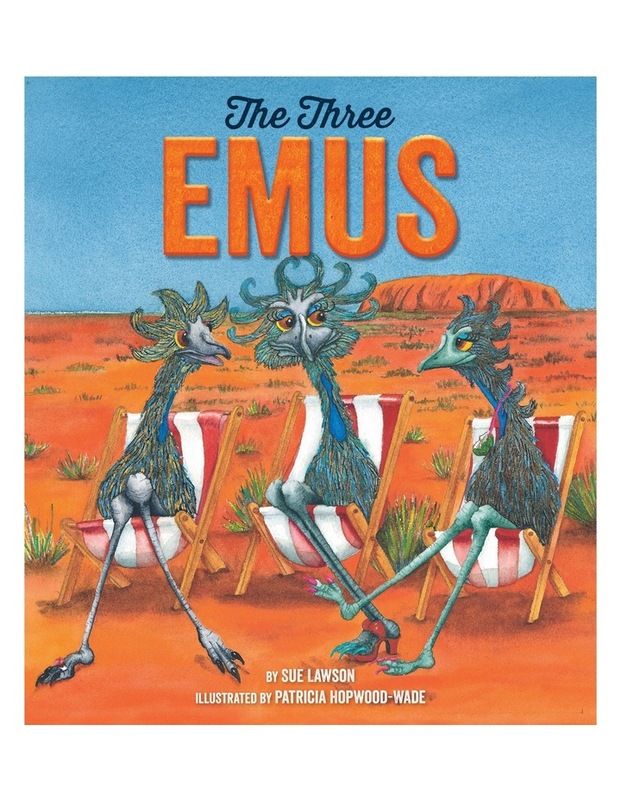 This is the story of three inquisitive emus from Uluru - Roo, Mo and Flick. Roo, the leader, is confident and bossy, Mo is indecisive and dithery and Flick is shy and timid. Shy Flick carries around a piece of hatch shell, much the same way a toddler might carry about a favourite blanket. The trio spend their days wandering through the campsites, poking their beaks into tents, pockets and backpacks. Until one day when Flick is exploring the shell is lost in a Swedish backpackers pack. In a brave effort to retrieve the shell, the trio follow the backpackers route around Australia. Will this inquisitive emu trio find Flicks precious shell, and what will they learn about themselves and Australia on this journey across the vast Australian land?